Intrauterine insemination (IUI) which is also known as artificial insemination is significantly considered as the first line fertility therapy for couples who are seeking IVF treatment to conceive. It is also a low-cost and low-tech fertility treatment procedure. The prominent objective of this procedure is to enhance the number of sperm that reaches the fallopian tubes and increase the chances of fertilization. It is rather an uncomplicated insemination technique that comprises insemination of sperm into the uterus to produce fertilization. Dr Sarita is one of the finest IUI specialists in Noida that has produced some miraculous and unbelievable result with her sheer experience and unmatched fertility treatment expertise. Several hopeless couples have already brought back baby joy in their life by getting IVF treatment by Dr Sarita at her IVF centre. 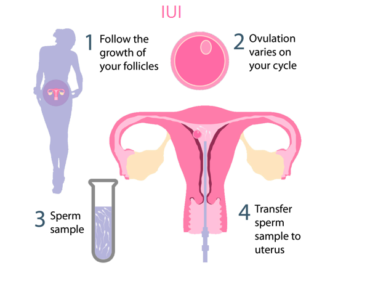 Who can avail the service of IUI? In case of low sperm count and poor sperm motility in men, IUI can offer good treatment option. While in a condition where a woman is under medical surveillance taking medication to ovulate and develop more eggs, in such cases timely insemination of prepared sperm by IUI specialist in Noida can produce incredible result. Women who have history of pelvic inflammation or infection. Adam and Eve fertility centre in Noida facilitates Best IUI Result at the most affordable price so that the joy of having a baby is not hampered at any cost.